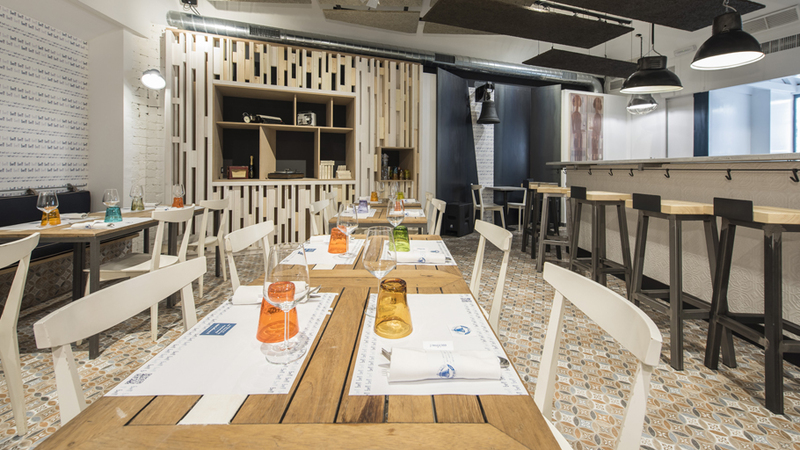 Once again we find ourselves in the eternal city in order to immerse ourselves in a restaurant of style and industrial-retro, together with the unmistakable Mediterranean charm. The location in which the Bell restaurant can be found in Rome could not be more differentiating, as the neighbourhood or the Quartiere Coppedé, is a part of the city which has tremendous historical and artistic value. Furthermore, the same history makes a real impression in the restaurant, as both its name and interior lay out owe their reason for being to an ancient bell, which dates right back to 1731, and it is on show in one of the rooms in the hotel. 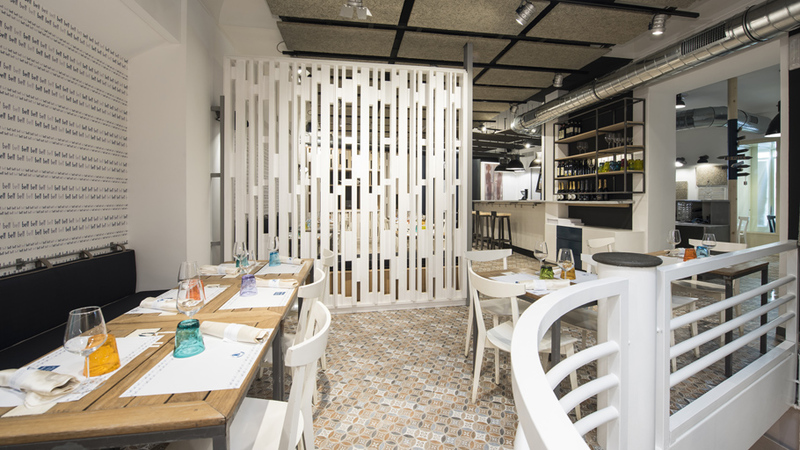 Done by Luca Baguglia‘s architecture studio, and in collaboration with Elena d’Angelo, Bell’s owners decided to refurbish this space, and they did so by counting on the freshness of a style which is purely Mediterranean, and at the same time, placing a unique tribute to Italian sea ports. 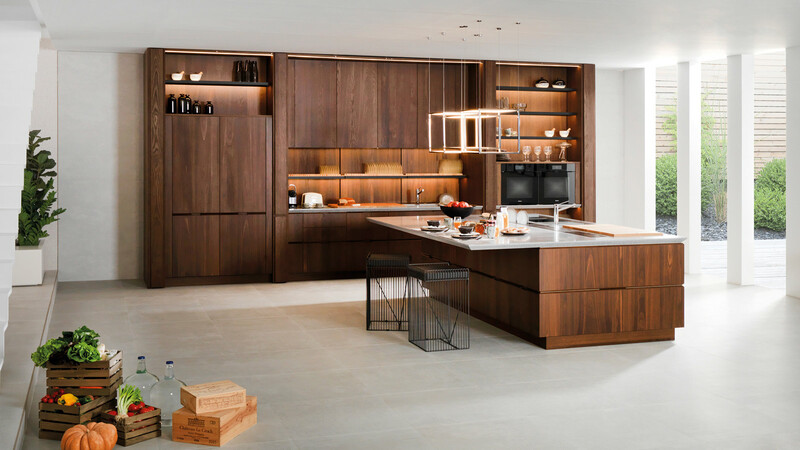 As well as this, they resorted to a subtle chromatic scale, based on a serene white colour and a warm touch, which contribute to the wood, in order to give, on the other hand, importance to the floors through the vintage patterns. 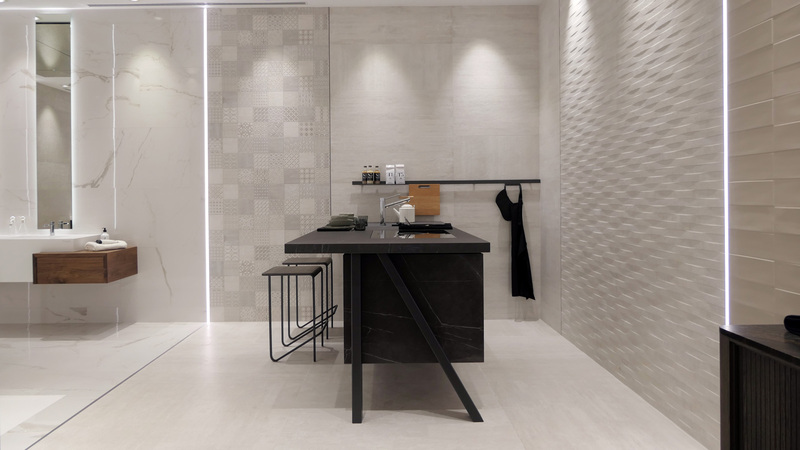 For this, Luca Baguglia banked on the high quality of both the materials and products from the PORCELANOSA Grupo, in particular, from the Barcelona B ceramic tiles by Porcelanosa in a 59.6x59.6 cm format. 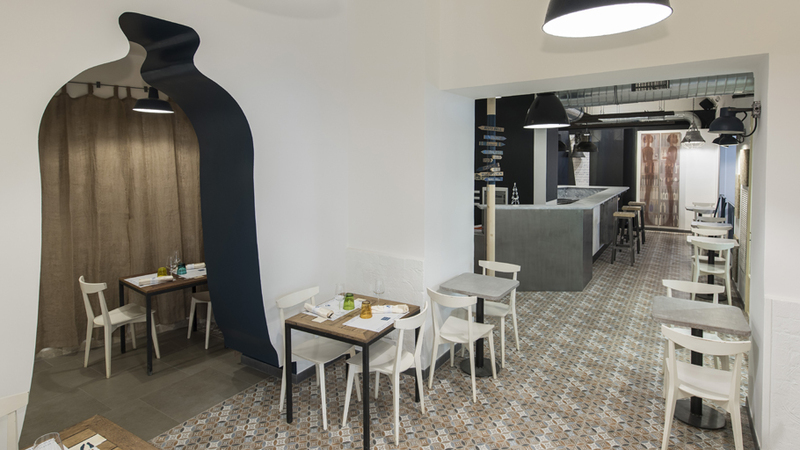 This unique design, inspired by hydraulic floor tiles, turns the main rooms inside the premises into cosy and modernist atmospheres. 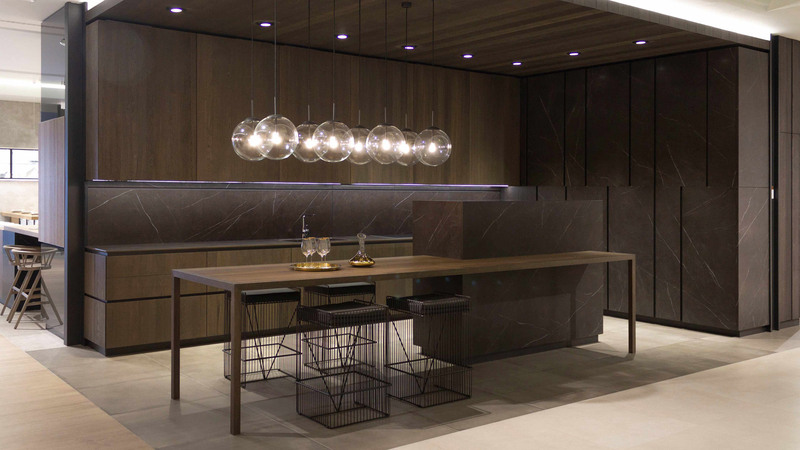 Other floor tile designs chosen by the Luca Baguglia’s interior design studio for the Bell restaurant were the STON-KER ceramic stone Dover Acero from Porcelanosa, installed on the floor in the entrance to the bathrooms, and the full through-body porcelain tile Morse Grey from Urbatek for the kitchen. 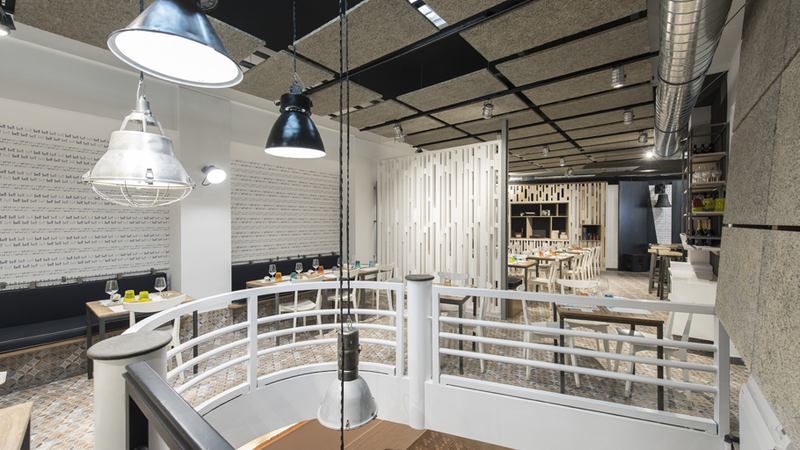 Both designs, like the Barcelona B as well, are suitable for commercial spaces with high traffic because of its high durability, guaranteeing both easy maintenance and easy cleaning as well. 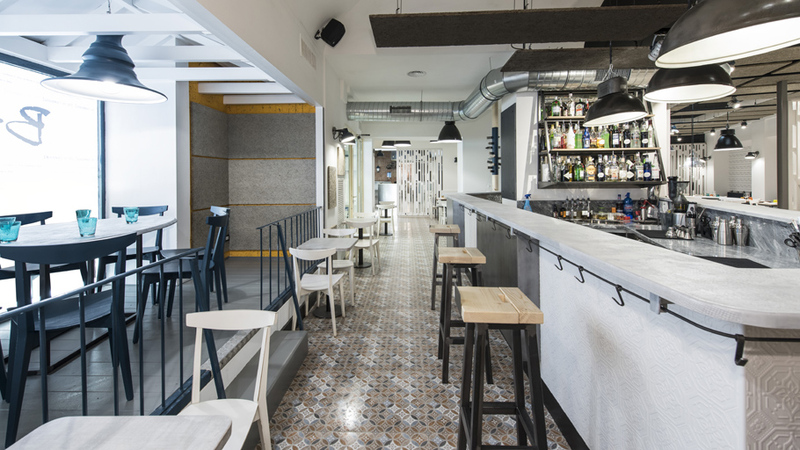 With regard to the wall tiles, exclusive ceramic designs were opted for in this project like the Shine Dark ceramic wall tiles for the kitchen and Zoe Blanco for the covering on the bar; both by Venis. 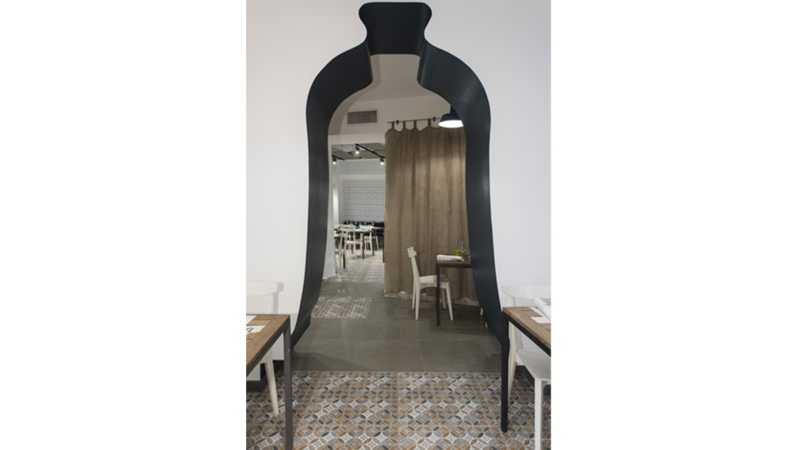 A ceramic texture with an elegant appearance that combines with the general retro touch from the premises, which at the same time, gives it a certain ethnic feeling. 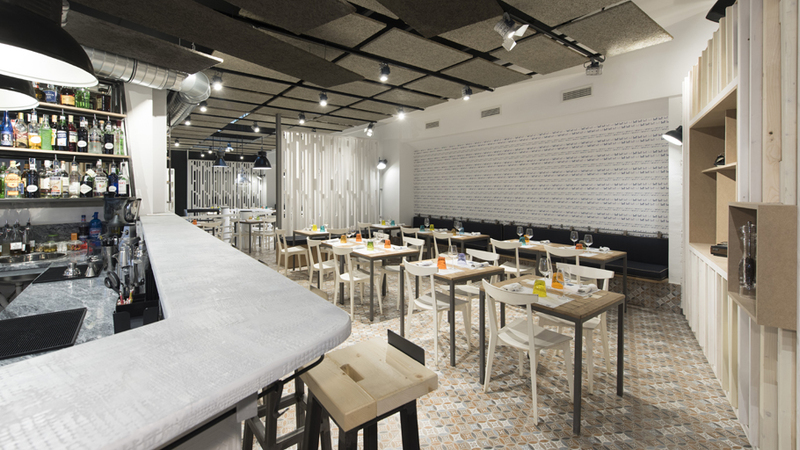 Capable of transmitting the soul of its design, Bell is a gastronomical space in which you can savour ideas in Mediterranean food, Italian food, or exotic international food. An eclectic journey in and around gastronomy, all in a warm place, which is both sophisticated and quite unique.